Saving penalties is certainly not easy. But a dachshund made it look like a walk in the park during a football match. A video of the incident, which appeared on YouTube on Monday, has left most people in splits. The venue of the incident is, however, not known. There have been moments in several football matches where dog or cats have appeared out of nowhere to grab everyone’s attention. 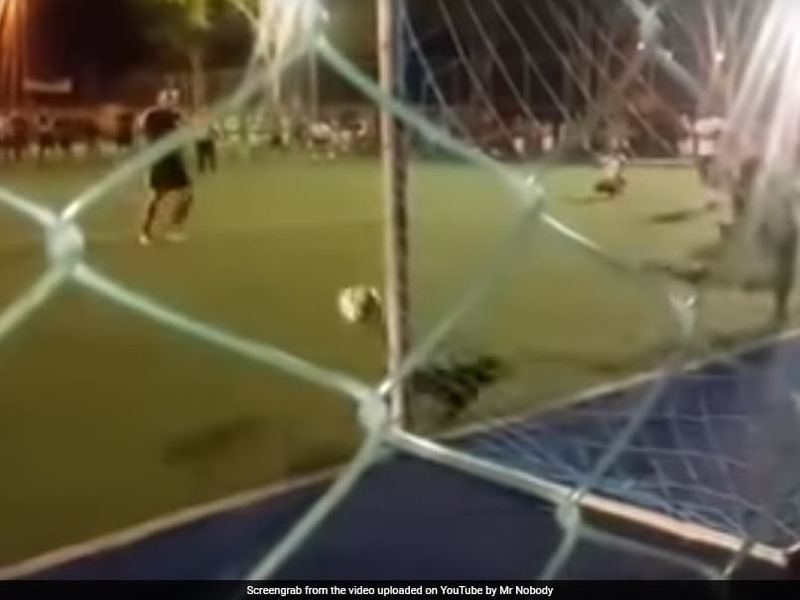 During this match, while the goalkeeper dived the other way, the dachshund decided to take the matter into his own hands to save a sharp shot towards the bottom corner, leaving the penalty taker awestruck and match officials confused. This incident amused many people present at the venue burst into laughter. There have been such hilarious instances in the past as well. A beagle was observed disrupting the course of a match during a lower-division game between Halesowen Town and Skelmersdale in England. And again, during a match in Argentina, a dog ensured seven minutes of play were destroyed while trying to gain control of the ball from the players.